The Barnes at night. Photo by Michael Perez. 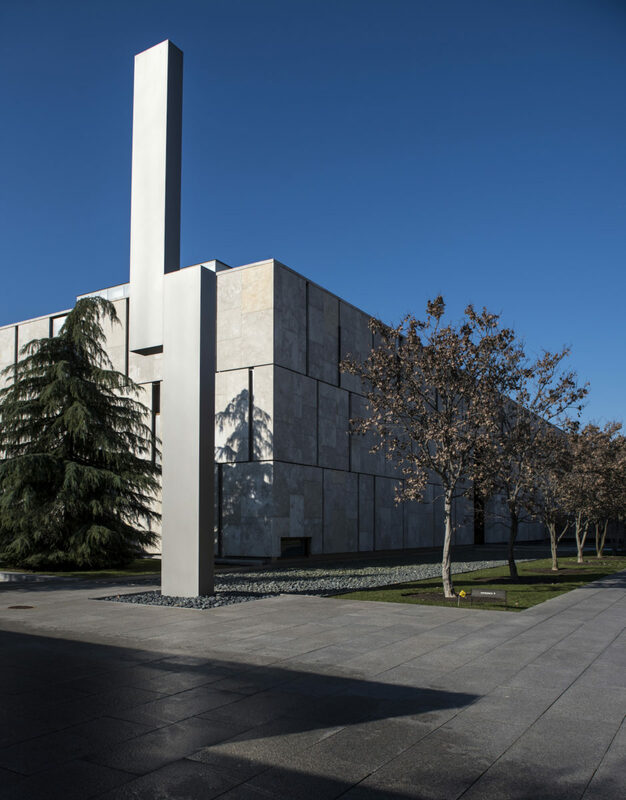 It wouldn’t be an exaggeration to say that The Barnes Foundation is one of the most important collections on display in the United States. The original collector profoundly changed the way we engage and interact with art, believing that it was an important practice for people of all ages and socioeconomic backgrounds. It was the first major collection to be displayed not according to genre or chronology, but by relative form, style, and color, and includes pieces by some of the most famous artists in the world (Picasso, Matisse, and Cézannes) next to ironwork and other everyday objects made my unknown artisans. 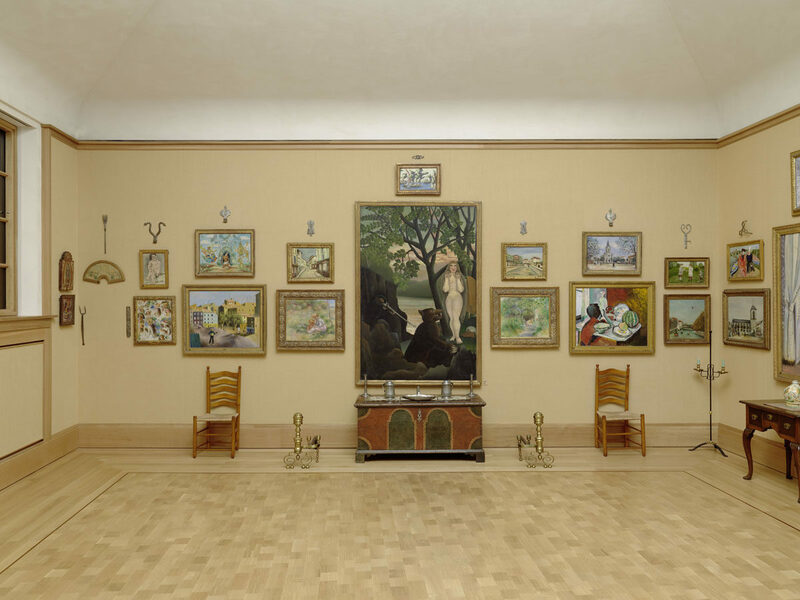 Experiencing the collection is only enhanced by the fact that its display remains intact according to Barnes’ specifications in a near exact replica of his gallery, which he built on from 1912 to his death in 1951. 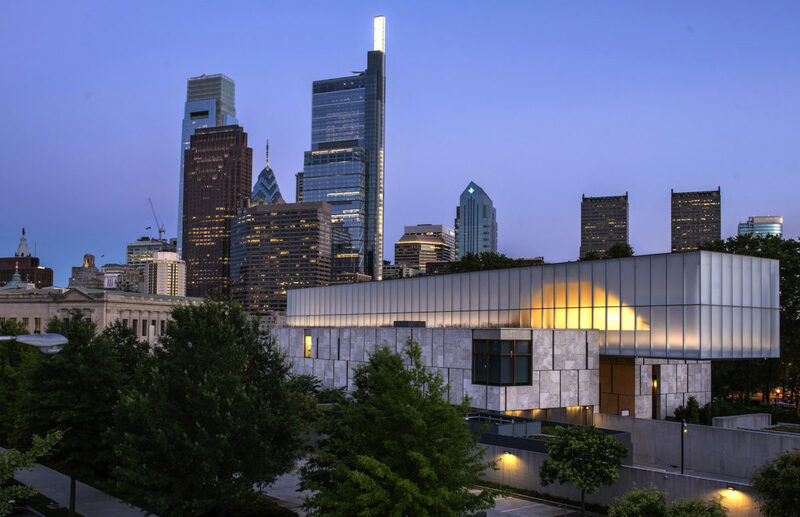 Needless to say, if you’re traveling to Philadelphia, The Barnes Foundation is a must-visit, and though it’s centrally located in Philly’s museum district, there’s an art to making the most of a trip to such a renowned collection. So we tapped Dr. Ireson, who’s spent a lot of time deeply understanding the collection—and exploring the surrounding neighborhood—after transferring to The Barnes last year from the Tate Modern in London, where she was Curator of International Art. Here, she gives us a rundown of the best way to view the collection and enjoy the neighborhood in which it resides. [Ed. note: if visiting on a weekend, we recommend buying museum tickets ahead of time and going earlier in the day to avoid lines]. A sculpture garden surrounds the Barnes building. Photo by Michael Perez. Take us through your ideal approach to visiting the Barnes. It’s fun to visit a gallery in the way that you might flick through TV channels: just stop when something catches your eye. There’s far too much to take in at once, so make a personal selection of things to focus on, driven by your mood. And of course, as a museum professional, I thoroughly approve of binge-watching. If someone only has a half hour to an hour at the museum, what should they prioritize? Gallery one is particularly spectacular, and Matisse’s The Joy of Life upstairs is unmissable, it’s a painting that really did change the course of Modern Art. Even if you’re short on time, it’s best not to rush. A good look at just a few things is more memorable (and more satisfying) than a failed attempt to see everything. What’s your favorite piece in the museum? I am quite fickle, so it changes frequently, but I often seek out Seurat’s Models, or the Picasso Acrobat and Young Harlequin, when I get a spare moment. These very different paintings both create a very special, very still, atmosphere. They are utterly absorbing. What are your favorite places to eat in or near the museum for lunch? What should you order? The food at the Garden Restaurant, (in house at the Barnes) is excellent and the views are just as good. I am a fan of the crab cakes! 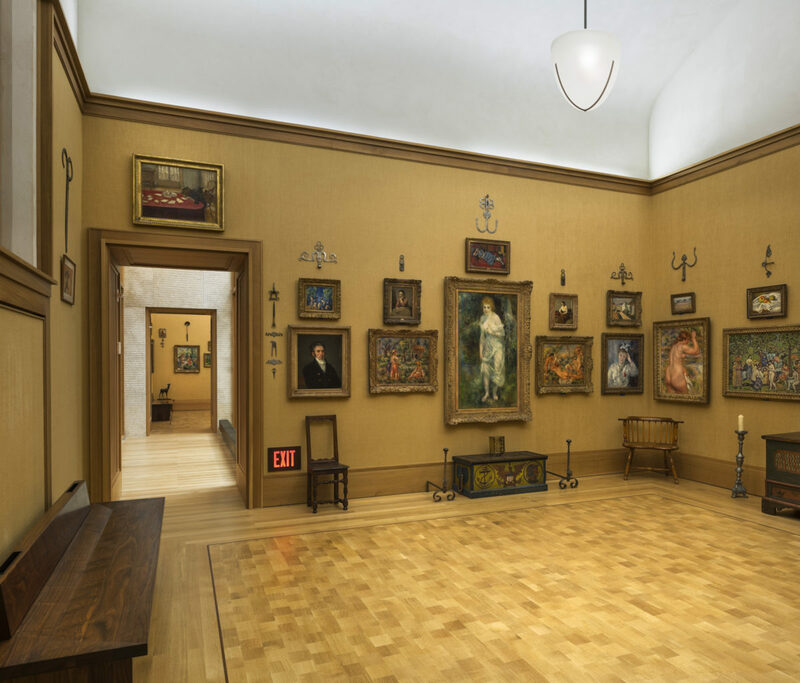 Room 18 in The Barnes Foundation. Each room comes with maps of the walls to denote the context of each piece—but it's up to the viewer to draw connections between them. 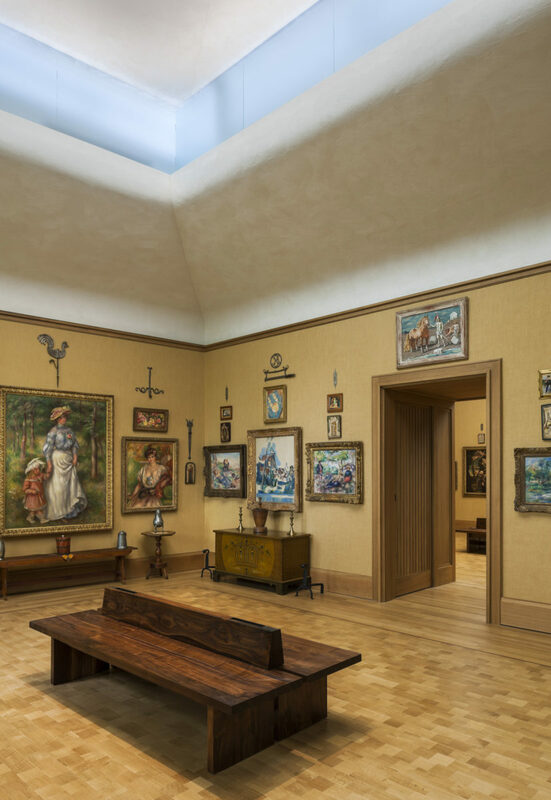 Spot the Van Gogh painting in Room 23 at The Barnes Foundation. Renoir among others in Room 6 at The Barnes Foundation. Best coffee near the Barnes Foundation? Conforming to stereotype, I am more of a tea person, and Mel at our downstairs Canvas Coffee bar serves a nice Earl Grey. If you are wandering further, however, Peddler Coffee on North 21st takes its java seriously. What other nearby arts and cultural destinations should you also check out? The Barnes is in a great area for cultural attractions, and the Philadelphia Museum of Art is particularly fabulous! I make a beeline for the Modern section, but whatever your interest, you’ll find something to savor. And don’t forget to drop into the Rodin Museum en route. What outdoor spaces should you take advantage of? If you are not in a hurry, combine your visit with a walk along the riverfront. Fairmount Pond is a very pretty spot. Best hidden gem in or near the Barnes Foundation? It’s perhaps not a secret, but as a frequent traveler, I was grateful to discover that the Fairmount branch of Sabrina’s serves breakfast until the afternoon. Sometimes only eggs will do!